NJ Oral Surgeon Explains What a Sinus Lift Procedure is? Princeton, NJ – Patients requiring a sinus lift procedure typically have lost teeth or had extractions, and are contemplating dental implants. If the sinus are too close to your jaw or there is not enough height in the jaw bone to support an implant, the surgery provides the structural changes needed to allow us to place dental implants. A number of conditions or issues can create the need for sinus surgery. Anatomically, your jaw has less bone on the top than on the bottom. If you have lost molars on the top of your jaw, the bone loss can make it difficult to place implants. Tooth loss can occur due to dental health concerns or trauma. We will complete extensive imaging to understand the shape and size of your sinus and jaw. The imaging will include a CT scan. To complete a sinus lift, we will use bone graft material, usually taken from a cadaver donor, or from a cow. A small incision will be cut into your gums to expose the jaw bone. We will then make a small window in your bone exposing the underlying Schneiderian membrane (sinus). 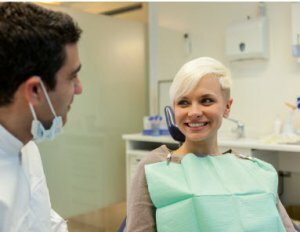 With dental instruments specially made for this procedure, we will gently elevate the membrane and the appropriate amount of bone will be added, providing adequate space for implants after the surgical site has healed. Once the procedure is complete, the incision will be closed with a few stitches. Between six months and twelve months will be required for the added bone to heal and fuse with your existing bone. Immediately after the procedure we will review your post operative instructions with you in detail. Typically 7–10 days after the procedure, patients return for a follow up visit and to have any stitches removed. To schedule a personalized consultation and to discuss if a sinus lift is right for you, contact Prestige Oral Surgery at 732-297-7000.